This is a Rigid Boyancy Boat, made of High Molecular Weight Polyethylene. 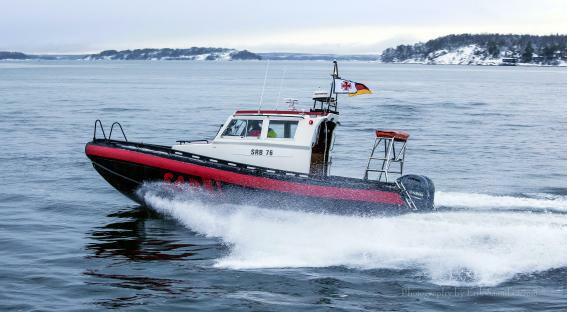 It has the same fantastic sea keeping capabilities as a RIB, but is strong, tough and has lots of interior space. 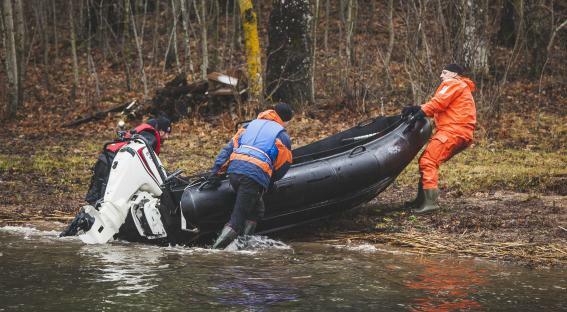 A 9 meter rescue boat with a polyethylene D-fender. A boat for heavy professional use. Length 9m Beam 3,1m Weight 3 tons RBB - Rigid Boyancy Boat, virtually unsinkable. The boat for Search an Rescue, robust, reliable, unsinkable. The Panther works all year around. 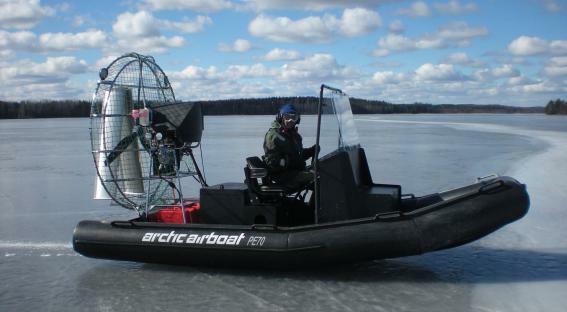 This airboat has a 560 hp GM engine, air suspended pontoons and a heated cabin. Suojaa omaisuutesi luonnon kuluttavalta vaikutukselta. Ei myrkkymaalia, ei korroosiota tai osmoosia, ei näkkejä eikä leviä. Nosta aina vene ilmaan kun et käytä sitä. Sopii myös talvisäilytykseen. For people who need to move in all seasons. Aluminum boat built by Marine Alutech to professional standards. The Rigid Boyancy Boat concept revolves totally around the construction material; High Molecular weight Polyethylene. This material has lots of advantages compared to aluminum, GRP or the rubber on Rigid Inflatables. PE is tough, has a high chemical resistance and tensile strength and at the same time it is flexible, which means low noise, less vibrations and resistance to denting or cracking when hitting an underwater obstacle. A perfect material for boat building! Two of these boats are working in rescue operations on Kos island in the Mediterranean.